With the threat of potentially-fatal breast cancer unabated, the Taguig City government decided to strengthen its campaign against the dreaded disease by adopting “Ating Dibd ibin”, in cooperation with ICanServe Foundation. 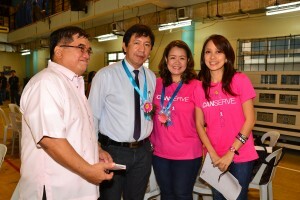 Ating Dibdibin, ICanServe’s flagship community-based breast cancer screening program, was launched in Taguig City on March 26. Under the program, the city government will provide free breast examination screening for the women in the city. Mayor Lani Cayetano stressed that early detection is very important in addressing the problem of breast cancer. 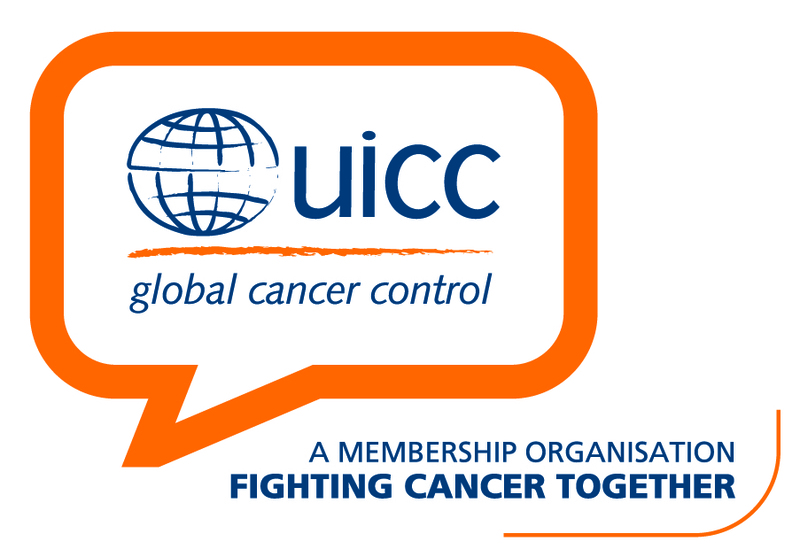 “Early detection is crucial in successful treatment of breast cancer, as it is in other diseases. The City Government is ready to assist any of the women of Taguig who would be found to symptoms of the disease,” she said. “They don’t have anything to fear and we assure them of utmost assistance under my administration,” Cayetano added. The city government’s women employees were the first batch to undergo the breast cancer screening services when the service was formally opened at the Taguig City Hall Auditorium. 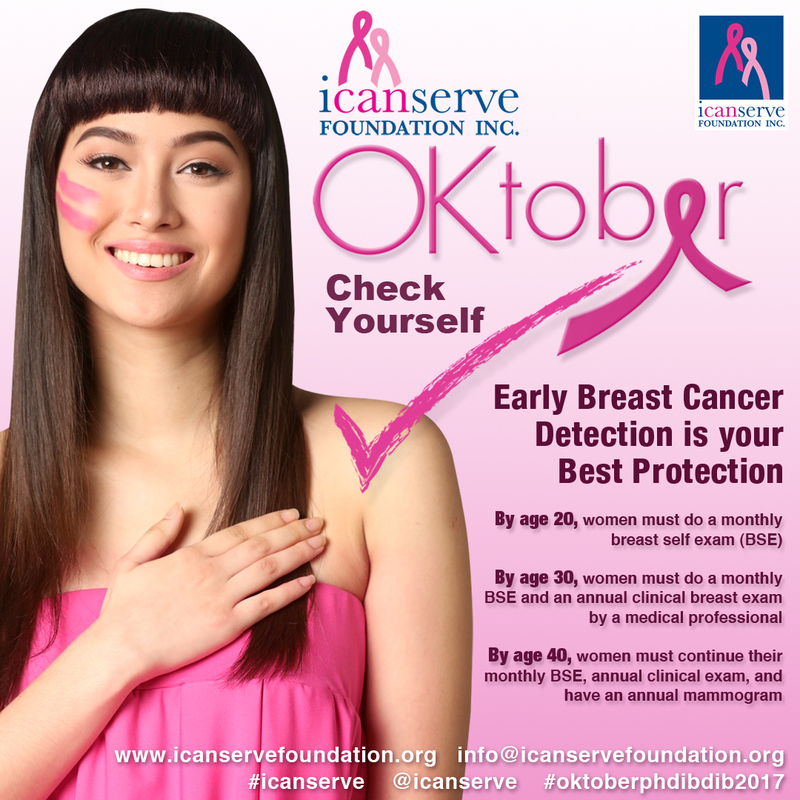 The breast cancer screening service will be brought to all barangays of the city, through the work of barangay health workers trained by ICanServe in clinical breast examination under the program. Atty. Darwin Icay, chief of the Public Information Office (PIO), the city government is aware of the difficulties of the poor residents who need to undergo breast cancer treatment. This is the reason, Icay said, for the recent memorandum of agreement the city government entered into with the Philippine General Hospital, where all those found to have symptoms of breast cancer can undergo the proper treatment. In connection with the program, the PIO and the Taguig City Health Office, with the full support of its head Dr. Isaias Ramos and deputy, Dr. Erlinda Rayos Del Sol, will also disseminate information on the different ailments common to women and the appropriate measures to protect themselves from these diseases. Based on the data from the World Health Organization, breast cancer is the most common form of cancer afflicting women, or equivalent to 16 percent of all forms of cancer of women around the world. Breast cancer has also surpassed lung cancer as the foremost form of cancer disease in the country. 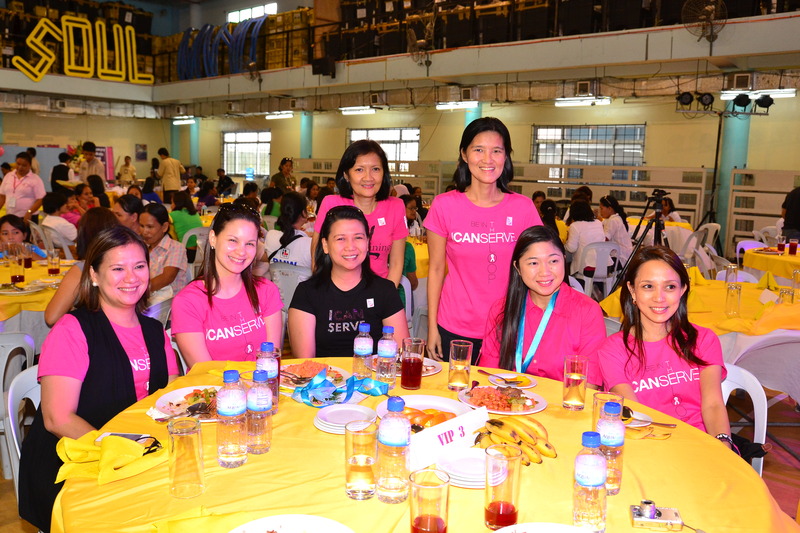 Apart from ICanServe Foundation, the City Government is also working with the Department of Health (DoH), Philippine General Hospital (PGH), Taguig-Pateros District Hospital (TPDH), Philippine Cancer Society and Springfield Breast Care Center in the campaign against breast cancer. In remarks made at the program’s launch, Cayetano said her dream was to have a ‘pink breast cancer center” in Taguig City. ICanServe president Mary Anne Solomon commended the mayor, the city government and especially the city health officials and staff for embracing the program for the benefit of its women residents. She said ICanServe would like to bring Ating Dibdibin to as many cities as will adopt it, in order to save more lives. ICanServe co-founder and advocacy head Kara Magsanoc-Alikpala assured the city of ICanServe’s technical support for the program, and thanked the city government and its partner institutions, including the Officer of Senator Alan Peter Cayetano, for establishing Ating Dibdibin and providing the resources to address the needs of Taguig women from screening to cure. ICanServe celebrity supporter Bituin Escalante, her husband Reymund Domingo and their daughter Luna, graciously gave time to join the opening ceremonies of Ating Dibidibin in Taguig. 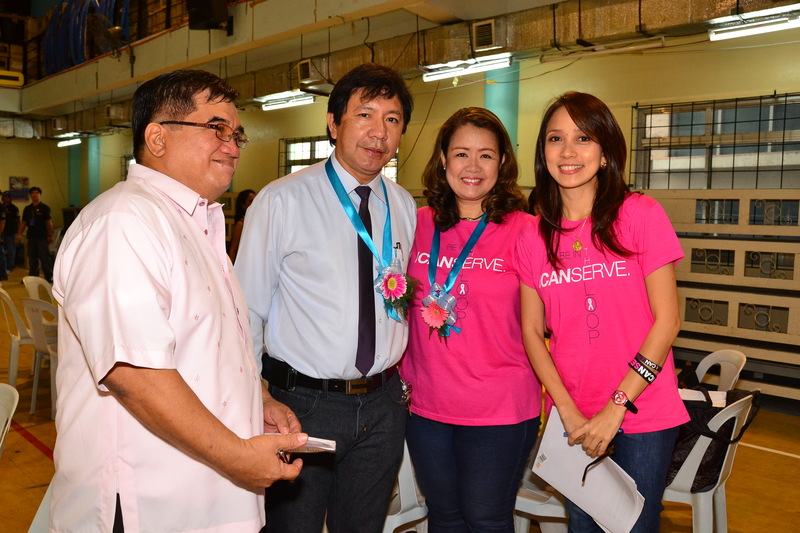 Also present were ICanServe volunteers and board members, Dr. Romi Marcaida of the Philippine Cancer Society and Dr. Jorge Ignacio of the PGH-Cancer Institute, among other program supporters and advocates.